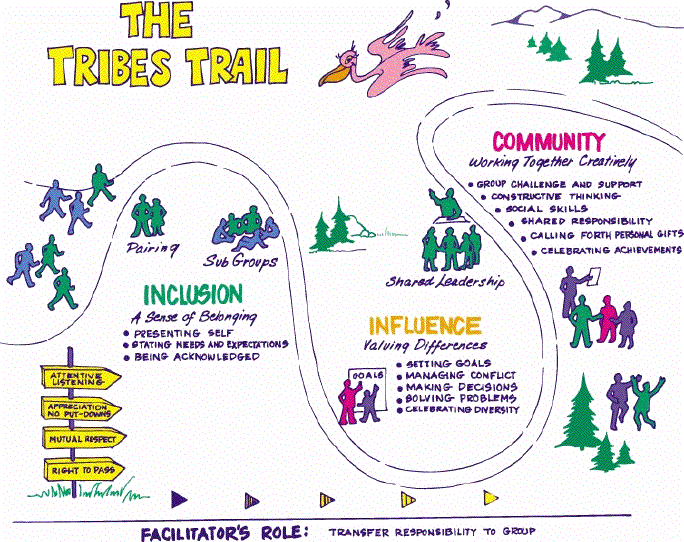 Tribes is not a curriculum, not a program, or list of activities. It is a 'process' - a way to establish a positive culture for learning and human development throughout a school community. In order to create a sense of community throughout our classroom, we will begin by implementing TRIBES into our classroom. TRIBES provides excellent activities which will help to develop positive self esteem, attentive listening, participation and cooperative skills.